Bristol ferry boating is one thing that no traveller should miss out on. The beautiful waters below you and scintillating scenery to accompany you this becomes a hot tourist destination. Take a day out, pack some snacks and make this boat ride for an experience of a lifetime. The boat ride is a very innovative way to get around the city as well as enjoy the scenery along the way. The price mentioned is for Grand tour. Timings are according to the schedule and are changeable hence can be known locally or through the timetable. The Grove (Stop bm) is the closest bus station and getting a bus is easy from the location. Bristol Temple Meads is the nearest train station and getting a train is rather easy. 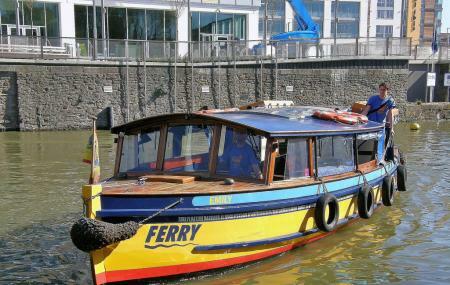 How popular is Bristol Ferry Boat? People normally club together Bristol Museum & Art Gallery and At-Bristol Science Centre while planning their visit to Bristol Ferry Boat. What a great day out. We were welcomed on board and our fare options were explained by a friendly member of staff. We went for the All Day ticket, which gives you an 80 minute tour with the option to break your trip or return later in the day. The skipper was obviously very experienced, so getting on and off was safe and easy. Great value, we plan to return next year and buy a weekly ticket. Very good service (lots of stops and frequent boats), very nice staff ! I saw AFTER paying an adult ticket that they had student fares. The sailors was extremely honest because he paid me back the difference of fares. He also indicated me nice places around to visit. Thanks for that moment !